THANK YOU TO OUR 2018 GALA SUPPORTERS! On behalf of the Board of Trustees, Staff, Volunteers and all those we serve, Rensselaer County Historical Society thanks the Corporate Sponsors, Honorary Committee supporters, other attendees and donors for joining us in honoring Alane and Paul Hohenberg, the 2018 Hart-Cluett Awardees. 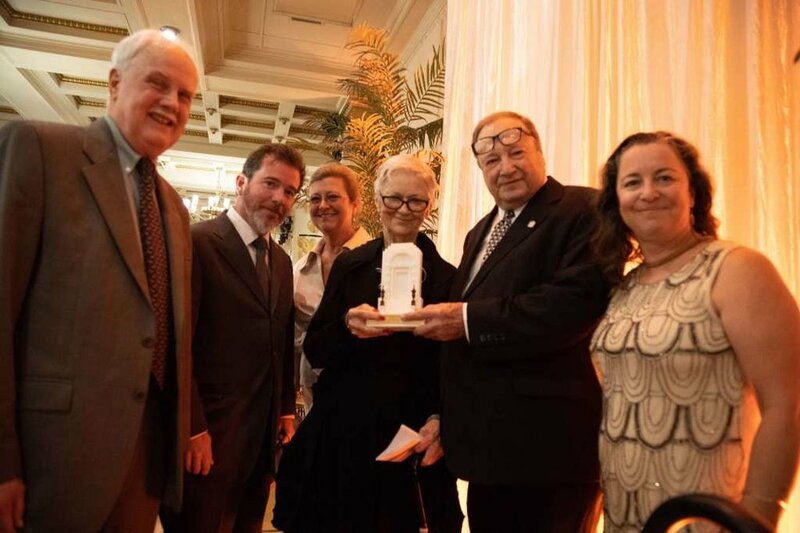 Over 260 guests gathered at Franklin Plaza on Thursday, September 20 to toast Alane and Paul for their civic and philanthropic commitment to improved quality of life in Troy that has benefited thousands. RCHS is grateful for the support of so many who help us to continue our mission to enrich the present and advocate for the future by bringing the region’s past to life. Many thanks to TU photographer: Frankie Cavone, for these wonderful images! Thank You (as well) to our loyal and generous donors to the Silent Auction for helping to make this year’s Gala a success!